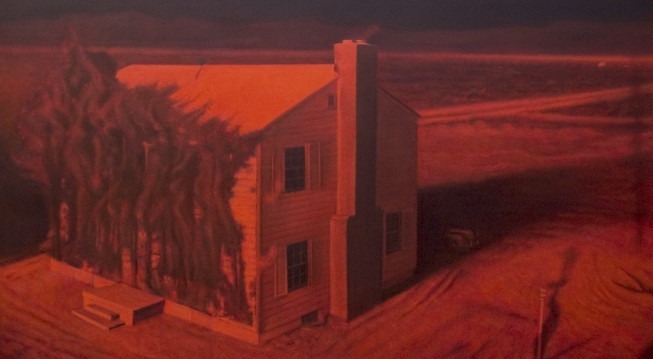 This series of eight, large-scale paintings by Robert Beckmann reveals the potential effects of a nuclear detonation on an American-built, single-family home. The series is based on real-life, Cold War-era testing undertaken on the Nevada Test Site (now the Nevada National Security Site). The deep-red images are based on footage from a 1953 documentary film about the detonation of a 16-kiloton nuclear bomb nicknamed “Annie.” The artist remembers watching the film as a young boy growing up during the Cold War era.